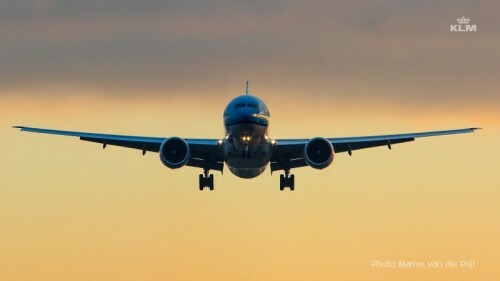 Amstelveen, Netherlands, 2015-3-31 — /Travel PR News/ — KLM Royal Dutch Airlines has welcomed its latest Boeing 777-300, which flew in from Seattle to Schiphol last Saturday. KLM traditionally names this aircraft type after world heritage sites and nature reserves, with past examples including Iguazu Falls and Mount Kilimanjaro. KLM’s 24th Boeing 777, registration number PH-BVN, has been named “Tijuca National Park”. This national park is located in the city of Rio de Janeiro, Brazil, and covers a surface area of 32km². This new Boeing is the first 777-300ER to be fitted with the new economy and business class configuration and to sport the new KLM livery. The PH-BVO, which will follow at the end of April, will also be fitted with the new configuration and livery. This will take the B777 fleet up to 25 aircraft. The new economy class seats offer passengers more legroom. The smart design of the new economy class seats creates extra legroom, offering greater comfort. And there’s more; the ergonomically optimised headrest offers better neck support. Specially designed cushions, sustainable high-density materials and a power socket offer passengers relaxation and greater control. The fact that the new seats are the lightest in their class is yet another improvement. Less weight generates fuel savings, which will in turn reduce CO2 emissions. The new cabin interior also boasts a new inflight entertainment system, offering bigger 9‑inch HD touch screens, interactive 3D-cards and the option of communicating with fellow passengers seated elsewhere in the plan using “seat chat”. The inflight entertainment system offers access to more than 150 films and 200 TV programmes in numerous languages, and includes a large number of local films. In tandem with the introduction of the new economy class, KLM also enhanced its new World Business Class in the Boeing 777. The key element here is the new full-flat seat. The way in which the new seats are positioned in the cabin, coupled with a range of smart design choices, now offer maximum privacy during sleep or work time. Aspects including warmer colours – that differ for each seat – and ample storage space ensure optimal comfort and more personal space for passengers. Combined with bigger, softer cushions and new luxurious blankets, the new World Business Class exudes a warm and friendly look & feel. Personal 16-inch screens operated using touch-screen handsets serve to complete the luxurious World Business Class experience. And a dual-screen experience is also offered, with passengers being able to play games and/or chat while watching a film. This entry was posted in Airlines, Airports, Flights, Transportation, Travel, Travel Services, Travelers and tagged Boeing 777-300, KLM Royal Dutch Airlines, “Tijuca National Park”. Bookmark the permalink.